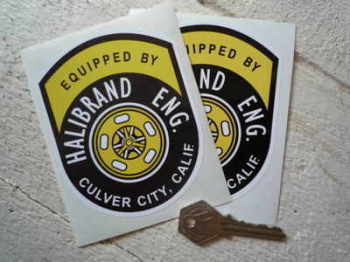 Halibrand - I Say Ding Dong Shop - Buy Stickers, Decals & Unique Automobilia. Halibrand Eng. Equipped By Sticker. 8". Halibrand Eng. Equipped By Stickers. 4.5" or 6.5" Pair. Halibrand Wheels Old Style Window Sticker. 3".